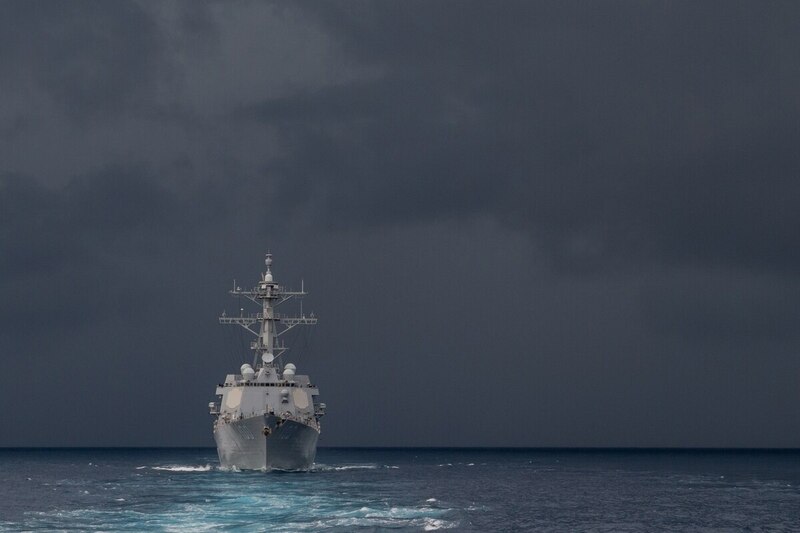 A big question for the Navy and its overseas operations in 2018 will be just how aggressive U.S. commanders in the Pacific will be in conducting freedom of navigation operations, known as FONOPS, in the contested South China Sea. The Navy under President Trump has increased the number of FONOPS beyond the number allowed by President Obama. But whether the Navy will continue that increase remains to be seen. The South China Sea has become a flashpoint for tension between the U.S. and China ever since China began constructing man-made islands to bolster territorial claims over large swaths of the strategic waterways. The U.S. rejects those claims, saying the region remains open international waters that U.S. Navy ships are free to sail through. For the Trump administration, FONOPS risk angering Beijing, even as the United States seeks China’s help in isolating North Korea and containing its nuclear threat. A key development to watch in 2018 will be whether the White House will view FONOPS as a critical tool for holding the Chinese military at bay in the South China Sea, or as a bargaining chip that could be held back to gain favor with the Chinese. Chief of Naval Operation Adm. John Richardson has acknowledged the challenge of countering North Korea and keeping the South China Sea accessible. “Always a challenge, isn’t it, to make sure that you’re not sort of captured, captivated by the bright and shiny object of the current headlines and take your eye off the broader, strategic currents that are flowing around the world,” he said at a Brookings Institution event in April.